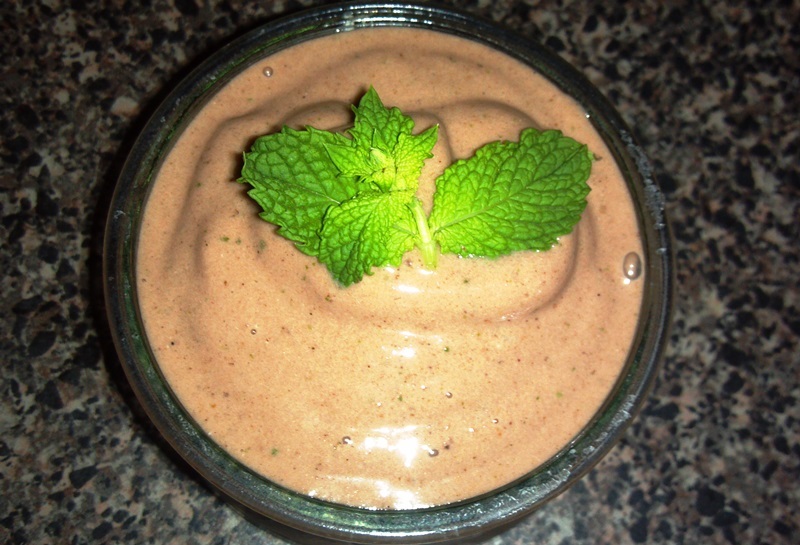 This is a delicious, refreshing summer treat, and with the optional addition of protein powder, you can also make this into a perfect post or pre-workout smoothie! 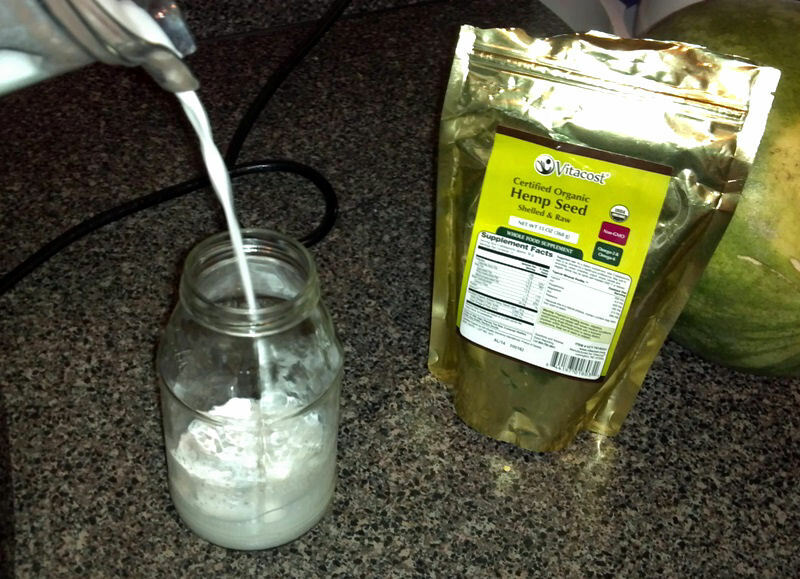 First, to make your fresh hemp milk, add 3 cups water to 1/3 cup organic hemp seeds. 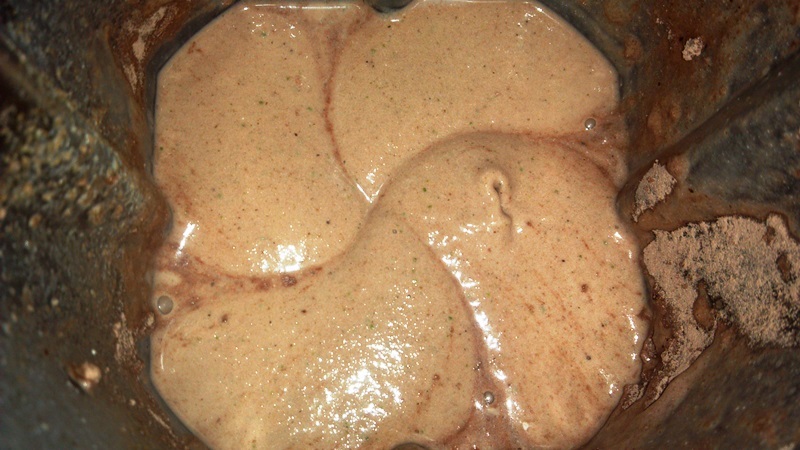 Add in four pitted dates for sweetness, and blend until smooth and creamy, about 1 minute to 90 seconds. 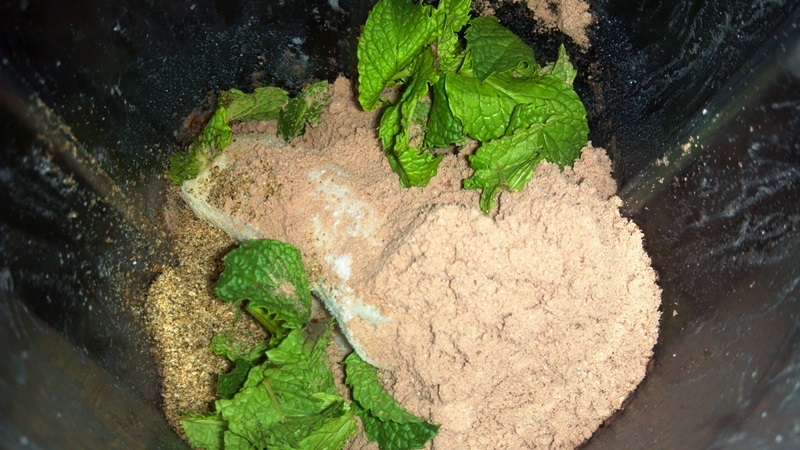 Pour into a jar and store in refrigerator. 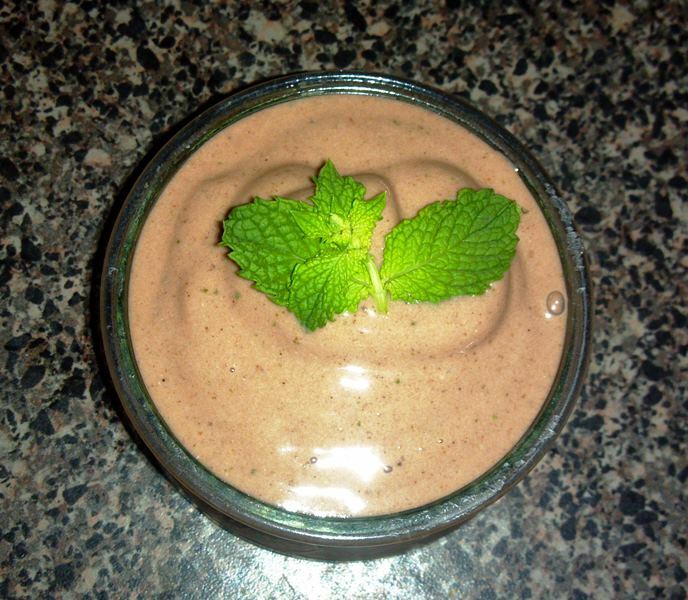 Spoon or pour out of the blender and into cups, top with fresh mint leaves and eat up! Tastes soooo good!